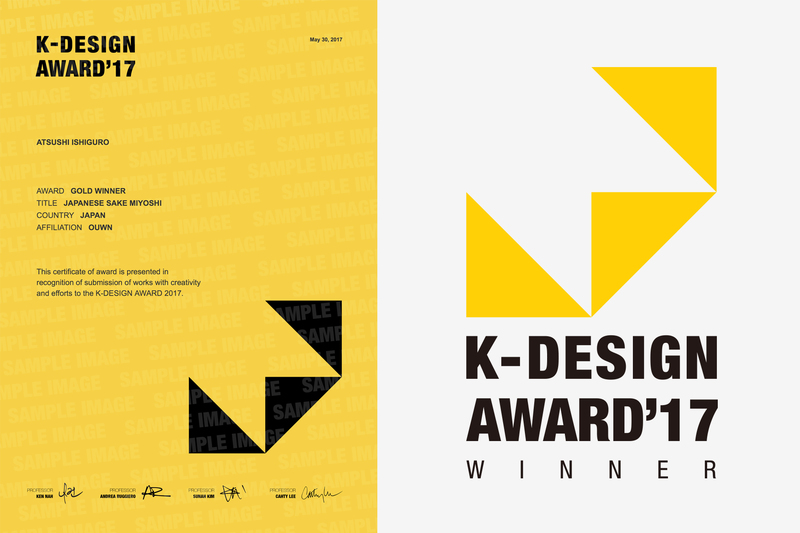 by the Korean design portal, “DESIGNSORI”. as it confers three of Asia’s major design awards. the international judging committee gives the Gold Prize to the entries with the best design. the Gold Prize is conferred to only one percent of the entire entrants. At the K-Design Award 2017, OUWN’s Japanese sake “Miyoshi” received this very prize. The award ceremony will be held at the Auditorium Coex in Seoul on August 26.
we would like to take this opportunity to further establish ourselves.